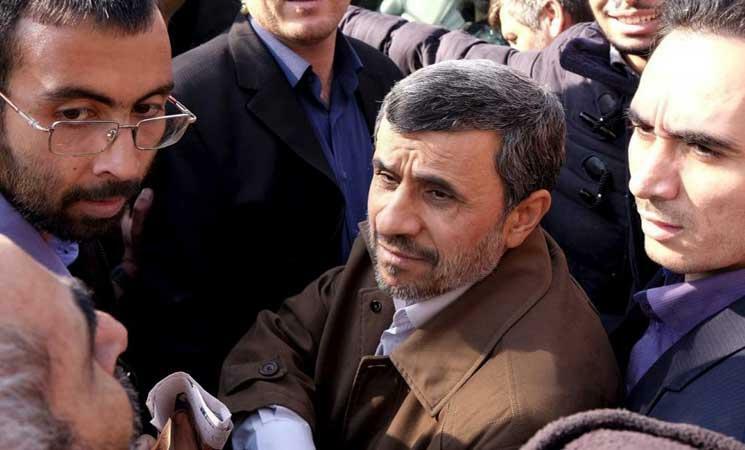 The London-based Arabic daily newspaper Al-Quds Al-Arabi reports this morning that former Iranian president Mahmoud Ahmadinejad has been arrested by security forces for allegedly inciting unrest against the government, according to "reliable sources in Tehran." The newspaper describes the former president's arrest in the southwest city of Shiraz as coming after a series of provocative statements given in support of anti-government protests that have gripped the country for more than a week, and that his detention was granted approval by Supreme Leader Ali Khamenei. Starting early in the protests, Ahmadinejad, who led the nation from 2005 to 2013 and has long been considered a hardliner, made public statements denouncing the Rouhani government as well as the clerical establishment as being detached from the daily reality of ordinary Iranians. Starting in November 2017 Ahmadinejad began making what was widely viewed as a surprise political comeback while running a populist message, focusing on the fight against corruption as his main emphasis and attacking the rich and corrupt, along with severe criticisms against the government for squandering public funding intended for the people's welfare. He's also reported to have broadly utilized social media for aggressive rhetoric targeting the judiciary and challenging Iran's supreme leader. Previously this week there were rumors that his arrest was coming amidst an ongoing investigation, as multiple regional and international reports cited a commander of the Islamic Revolutionary Guard Corps as indicating that "a former leader of the country" had provoked people to protest. Al Quds Al Arabi is currently describing Ahmadinejad's detention as a "house arrest". On Friday at an emergency session of the UN called by the United States, Iran's ambassador told the meeting that his government has "hard evidence" that recent protests in Iran were "very clearly directed from abroad." Iran has primarily blamed external enemies for seeking to exploit major internal economic difficulties the country is currently experiencing. US Ambassador to the UN Nikki Haley characterized the week long unrest in Iran as a "spontaneous expression of fundamental human rights," claiming the protests were simultaneously playing out in "over 78 locations" - though according to many reports anti-regime protests have largely died down while giving way to possibly larger pro-government rallies. It is possible that this latest news of Ahmadinejad's arrest on charges of incitement, however, could renew mass anti-government protests.